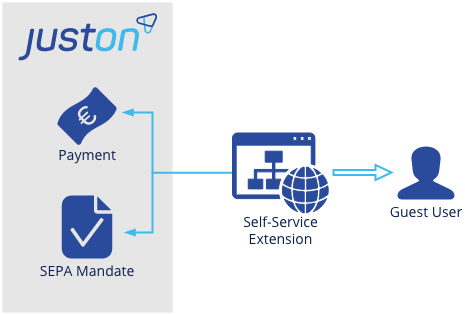 The JustOn Self-Service Extension is an add-on to JustOn that helps businesses to provide self-service capabilities for their customers. It allows customers - as guest users - to directly access their subscriptions and invoices, and, optionally, purchase new items. This way, businesses can gain more flexibility and efficiency in subscription management and benefit from up-selling potential. Using the JustOn Self-Service Extension, you set up a public web application based on Force.com Sites. The extension package ships a number of Apex classes and Visualforce pages that provide the intended functionality. You can use them to build your self-service app from scratch, or modify the included example implementation to suit your needs.